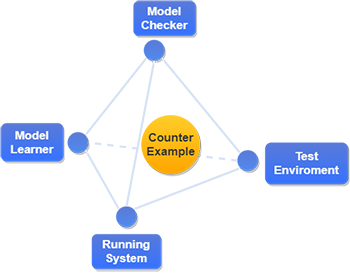 In the past decade, active automata learning, an originally merely theoretical enterprise, got attention as a method for dealing with black-box or third party systems. Applications ranged from the support of formal verification, e.g. for assume guarantee reasoning , to usage of learned models as the basis for regression testing. In the meantime, a number of approaches exploiting active learning for validation [17,20,6,7,2,1] emerged.